It’s been a long time coming. 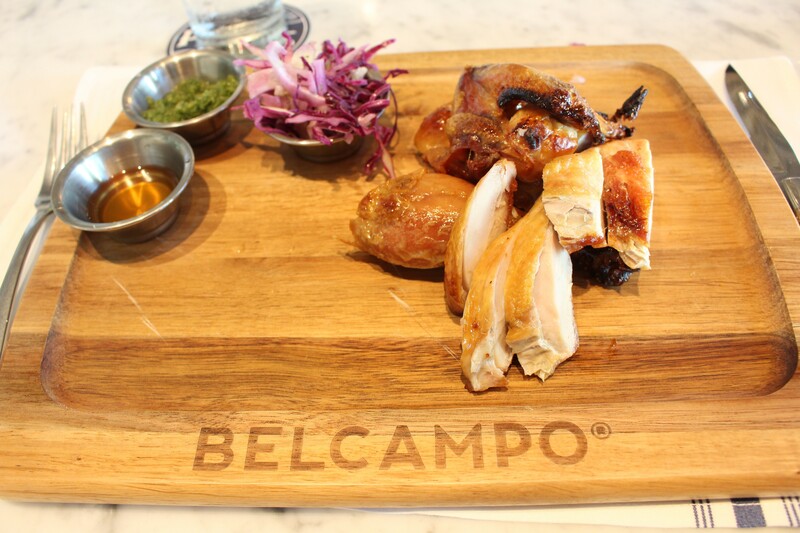 While Belcampo ultimately signed the lease on the former Bocanova space last year, the company had announced it would open in the Jack London area in 2016 at a building that’s still being developed. The new location sports waterfront views, plush seating, a marble topped bar, and a modern farmhouse aesthetic. The dry aged chicken comes with cabbage slaw, salsa verde, and a cup of vinegar. Leading the kitchen is chef Brett Halfpap from Belcampo Santa Monica. While the menu features some staples like Belcampo’s 100-day dry aged burger, about 80 percent of it is unique to Oakland and showcases global inspirations. 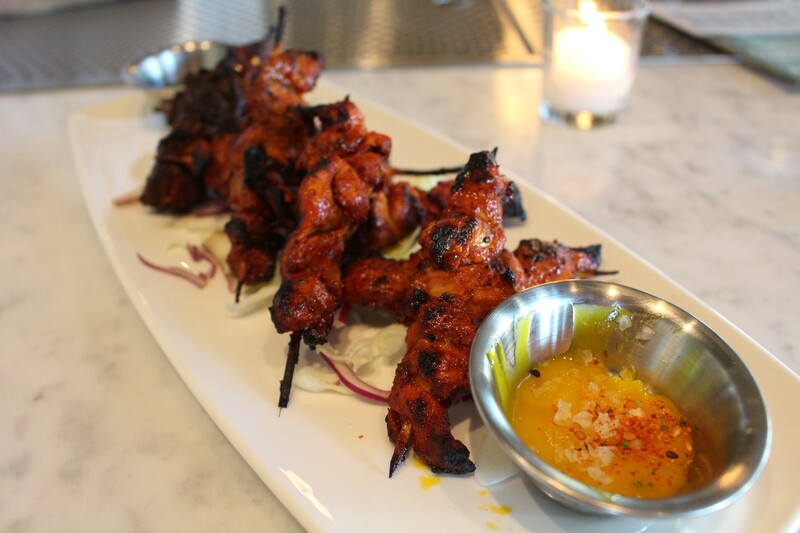 That element stemmed from Fernald wanting to expose her kids to more international flavors. “That was my idea: Here are some of the world’s best meat dishes made with what I humbly think is the world’s best meat,” she said. At Belcampo, the Thai larb comes with minced lamb shoulder, the shawarma with lamb tongue, and the Korean barbecue with a whole beef rib. Thanks to the company's business model, the meat-centric menu — even the salads promise eight ounces of meat — offers plenty of unusual cuts and preparations, such as beef heart yakitori dipped in raw egg yolk, seared lamb heart tartare with fermented harissa, steak aged in a block of tallow, and chicken dry aged for seven days, a process that enrichens the flavor and gives it a crispier texture. It's a surprising dish you're unlikely to find anywhere else.